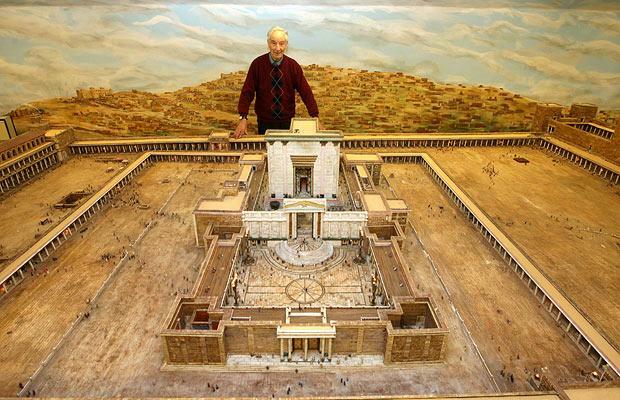 78-year-old Alec Garrard has spent more than 30 years constructing a 1:100 scale model of Herod’s Temple in his back yard. The original temple was built by King Herod the Great between 19 B.C. and A.D. 4 and was destroyed by the Romans in A.D. 70. 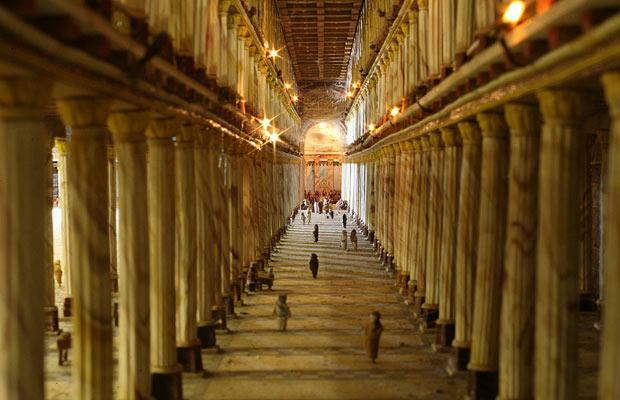 Garrard’s model measures 20ft by 12 ft and is considered one of the best representations of the historical temple in the world. Thousands of visitors from all over the world have come to see the model, and Garrard provides them with binoculars so they can see all the details. Garrard has written a book with information about the temple and detailed photographs of his model: The Splendor Of The Temple: A Pictorial Guide to Herod’s Temple and Its Ceremonies. You can also view a picture gallery of the temple model here. Related post: Behold the Temple! Google Earth now has a feature that lets you explore ancient Rome as it looked in 320 AD and even fly down to see famous buildings and monuments in 3D. Just select the “Ancient Rome 3D” layer under Gallery in Google Earth. For more information, visit Google Earth Rome. Justin Taylor wrote an excellent article on Herod’s Temple in Jerusalem complete with striking illustrations from the newly released ESV Study Bible. Here is just one snippet from this fascinating article. 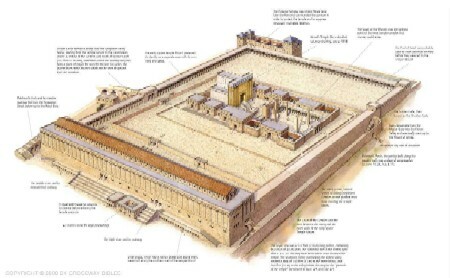 Now to get a sense of how massive this was, take a look at the illustration below, showing the entire Temple Mount. According to many scholars, the corner closest to you is the “pinnacle of the Temple” where Satan tempted Jesus — a frighteningly high point that created a 450-foot drop down to the valley below (essentially equivalent to standing on top of a 45-story building and being dared to jump). It was probably near this place — in front of the Royal Stoa — that Jesus cleansed the Temple from moneychangers who were turning a place of prayer into a den of thieves. The Statue of Liberty – U.S.A. The Great Pyramids of Giza were part of the final 21 candidates for the New7Wonders but were removed from competition out of respect for Egypt. They are the only remaining structures from the original list of Seven Wonders of the World. Thus, they will be listed together with the New7Wonders as the Eight Wonders of the World. So, have you ever visited any of these sites? Which are your favorites? Note: The New7Wonders Project is sponsored by The New7Wonders Foundation. The N7W Foundation was created in 2001 by Swiss adventurer Bernard Weber, with a mission to protect humankind’s heritage across the globe. Fifty percent of all net revenue raised by the New7Wonders Project is to be used to fund restoration efforts of important monuments around the world. This traditional list was derived from various lists compiled by ancient Greek observers. The Pyramids of Giza are the only surviving structures from the original list. The rest no longer exist. Well, it’s not quite the Holodeck, but it still sounds pretty interesting. Has anyone ever heard about the Visualization Portal at UCLA before? I came across this in some reading this weekend. The historical architectural models shown in the Portal are an experiment in using virtual reality to recreate a place and time that no longer exist. Used both for research and instruction, there are currently 42 models under development to improve the understanding of the original historical site and to develop new applications that will ultimately heighten the research and instruction experiences. Bel Air Presbyterian attender and UCLA Chair for the Department of Near Eastern Languages and Cultures Bill Schniedewind was our host, as he walked us through the Second Temple. In just that short time the Bible was brought to life for me in ways that I could not have imagined. I have been to Israel, Syria and Jordan before, but even being there in person didn’t compare to walking through the Second Temple in practical “virtual reality.” Dr. Schniedewind also walked us through Qumran and the Dead Sea Scrolls which was also very, very fascinating. You can view a sample video of the Portal here. The video takes you on a brief virtual reality tour of the Second Temple, the Coliseum, Port Royal, the Roman Forum, and of course a virtual UCLA campus. The video also includes samples from some of the scientific visualizations such as simulations of the creation of the universe, weather models, antibodies, etc. This sounds like a fascinating project and well worth a visit if you are ever in the area.